Reality: The court divides property in just proportions at time of dissolution, without regard to which spouse holds title, unless the property is classified as non-marital (purchased before the marriage, gift or inheritance). Reality: The Illinois Marriage and Dissolution of Marriage Act requires that property be divided without regard to fault. It does not matter who “caused” the divorce or who filed the divorce first. 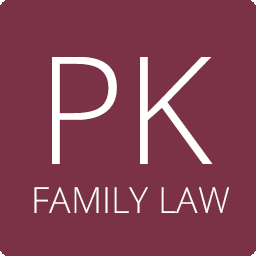 Any property accumulated during the marriage must be divided equitably. Reality: Any portion of a pension, 401(k) or other retirement account earned during the marriage is marital property and will be divided equitably by the court. Reality: Any debts accumulated during the marriage will be apportioned equitably between the parties, regardless of who made the purchases or the name on the credit card. Debts are presumed to be marital debts unless dissipation can be shown. Dissipation is spending money for purposed unrelated to the marriage, after the marriage has irretrievably broken down. For example, spending money for gifts to a girl friend or traveling with a paramour would not be marital debts. Reality: Your spouse must petition the court to allow her to move out of state. As part of her petition she must show that removal of the children from Illinois would be in their best interest. For example that she has a job offer in California that will pay more money that she makes now, but will give her more time with the children. She would also have to provide regular visitation for you with the children, in Illinois, at her expense. This can often mean that the children will spend much of their school vacation time with the non-moving parent.